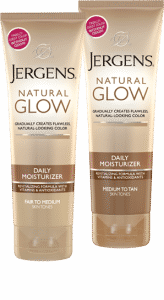 Click here to get your free sample of Jergen’s Natural Glow Moisturizer. To get your free sample all you have to do is click on “Request a Sample” towards the bottom right, fill out the simple form, and your done. According to their websitte your sample will be delivered in 8-10 weeks. Enjoy! doesn’t work at all, don’t waste your time.